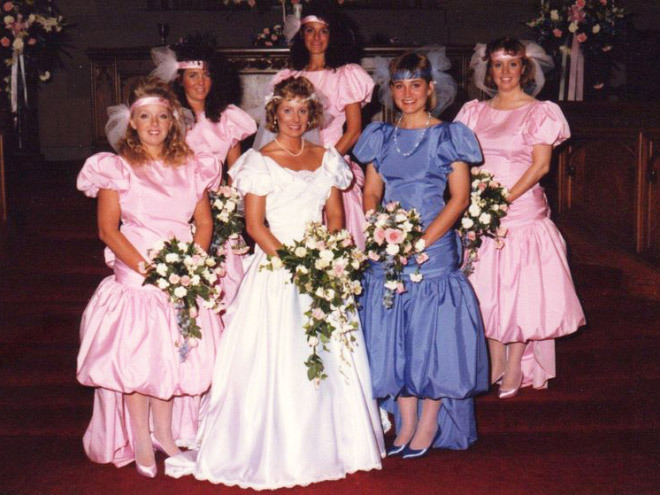 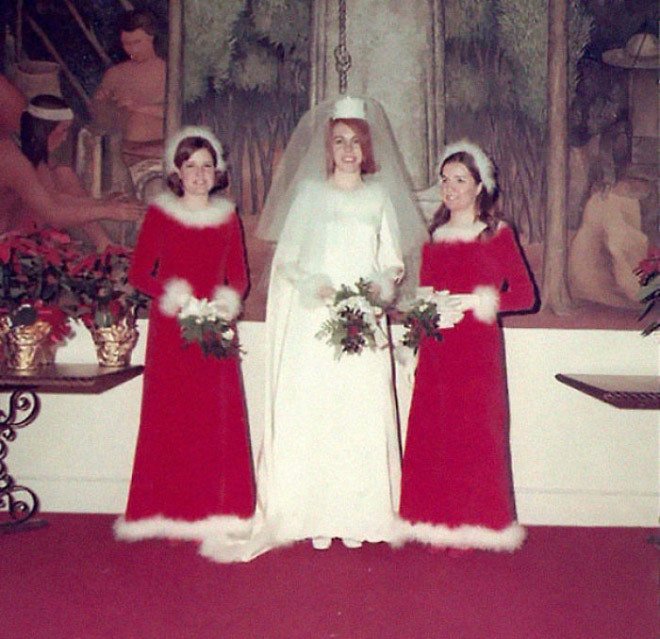 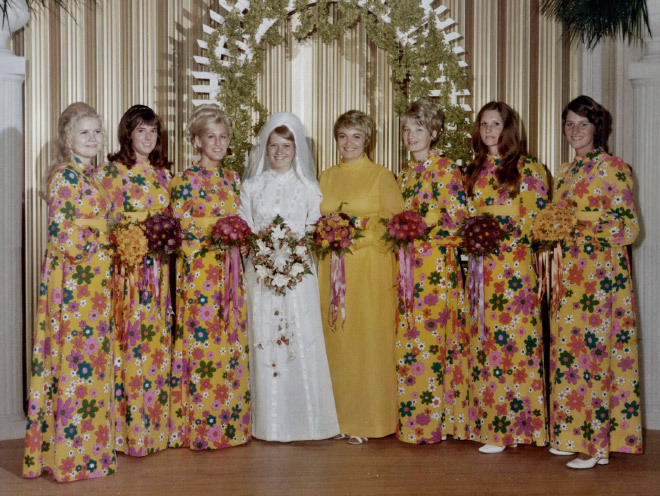 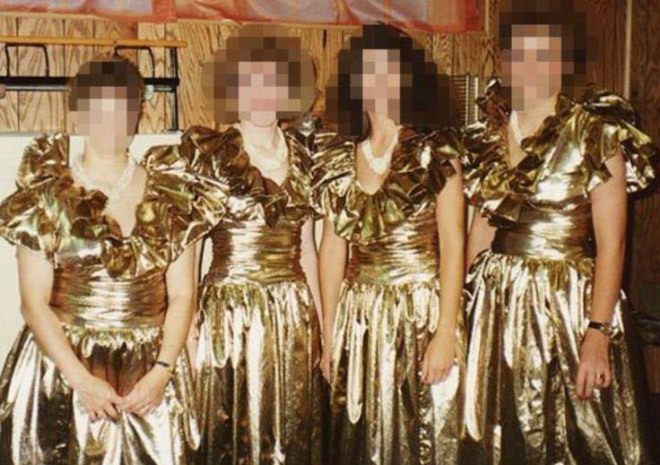 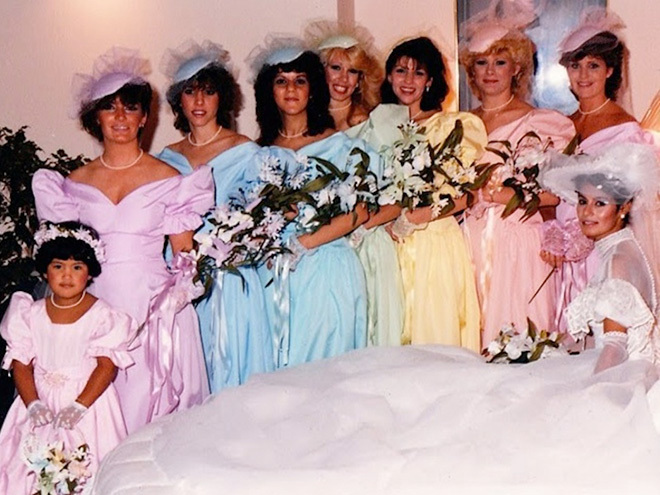 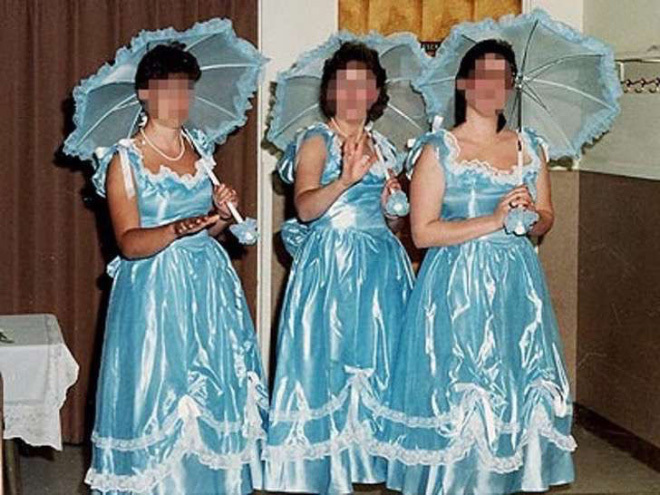 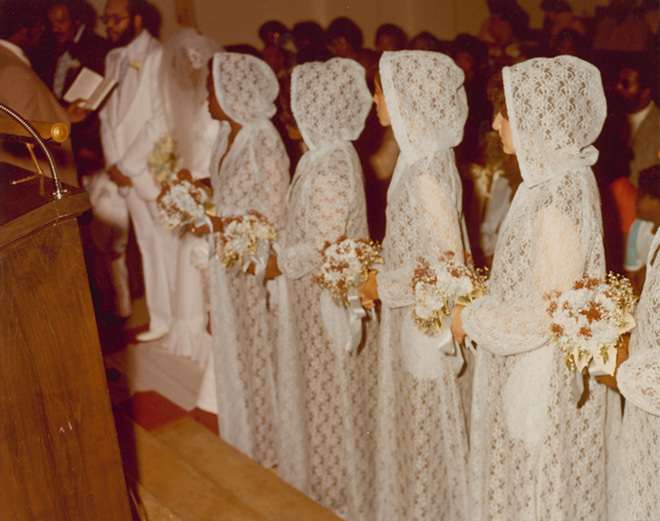 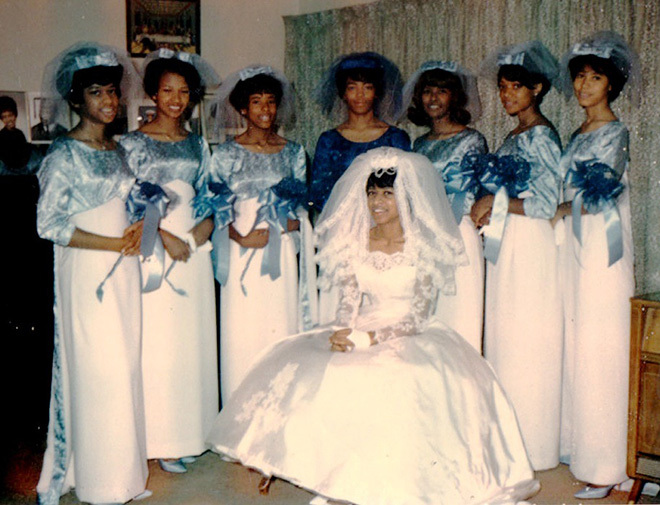 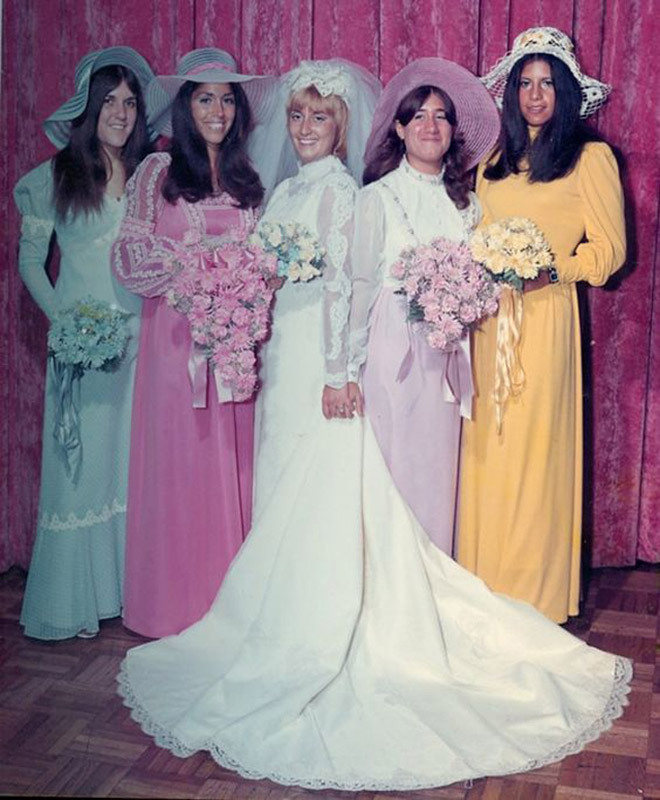 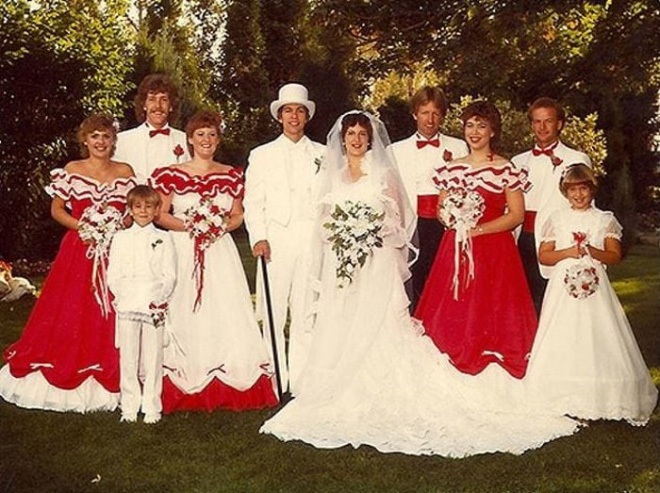 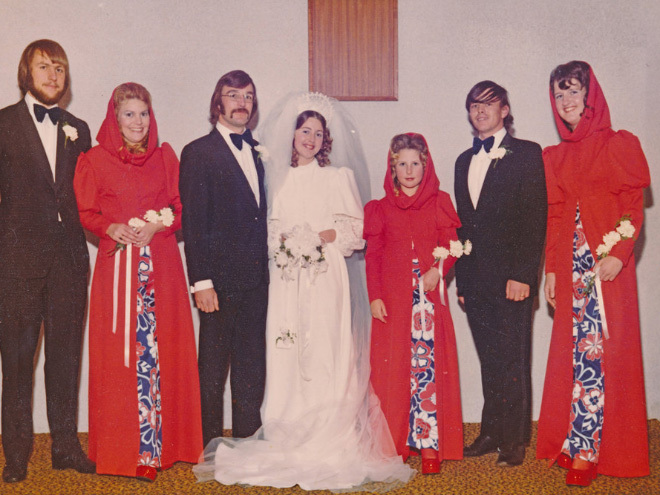 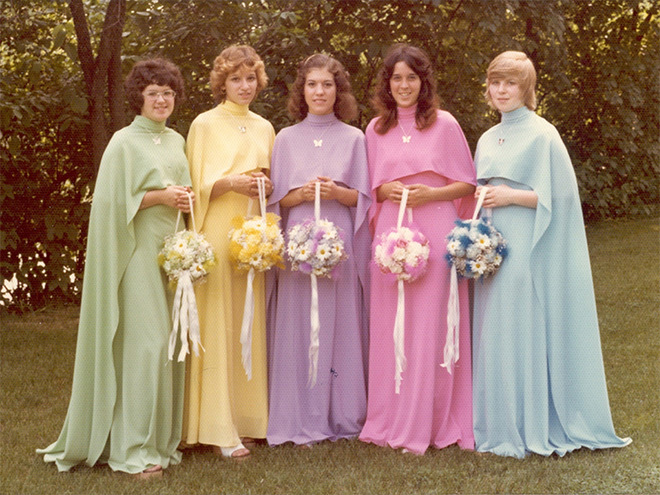 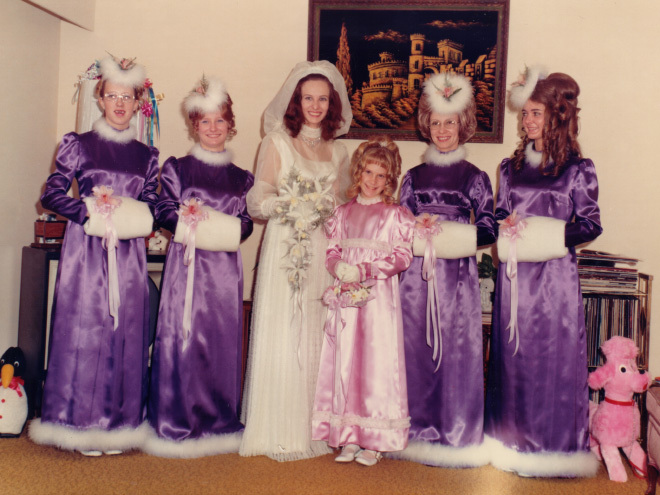 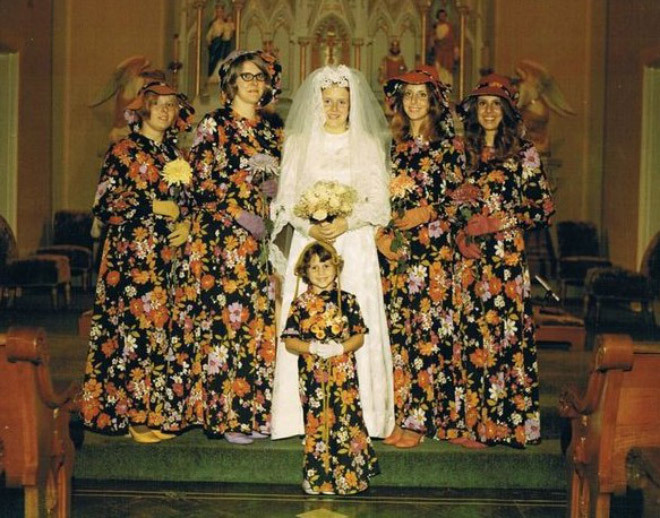 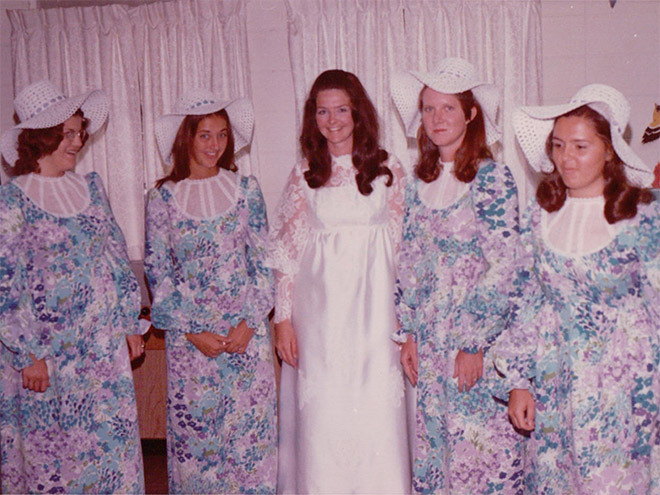 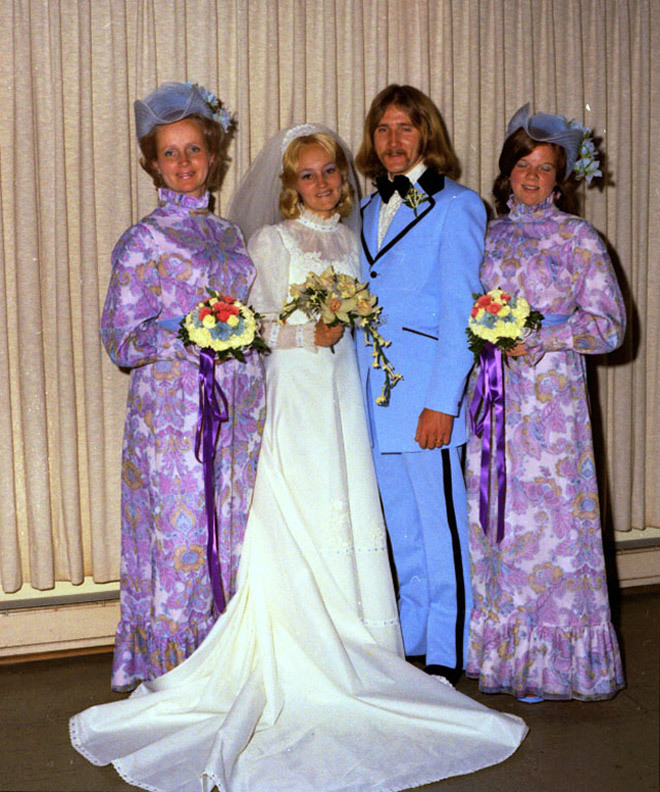 Scroll down to enjoy a gallery of vintage bridesmaids dresses that are so funny, you’ll probably feel sorry for the women who wore them. 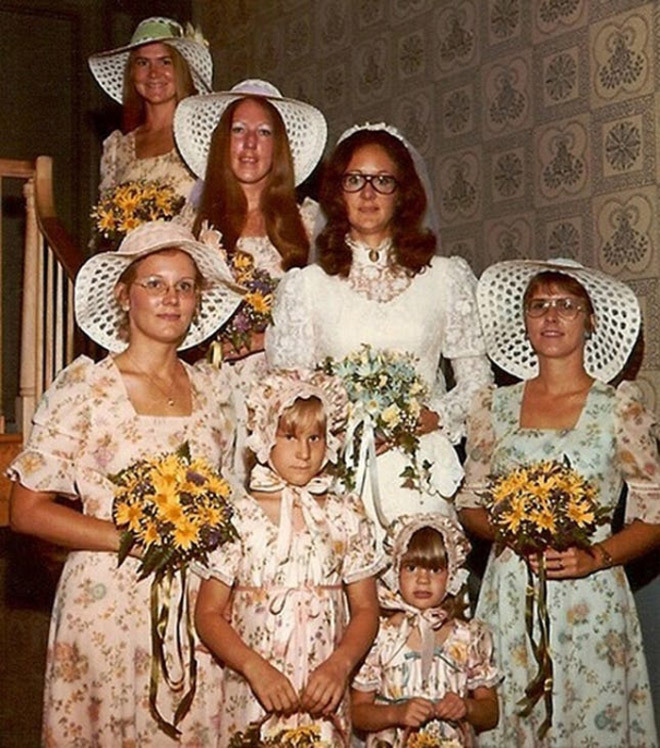 IS THAT Mia Farrow, far right, in the 8th photo? 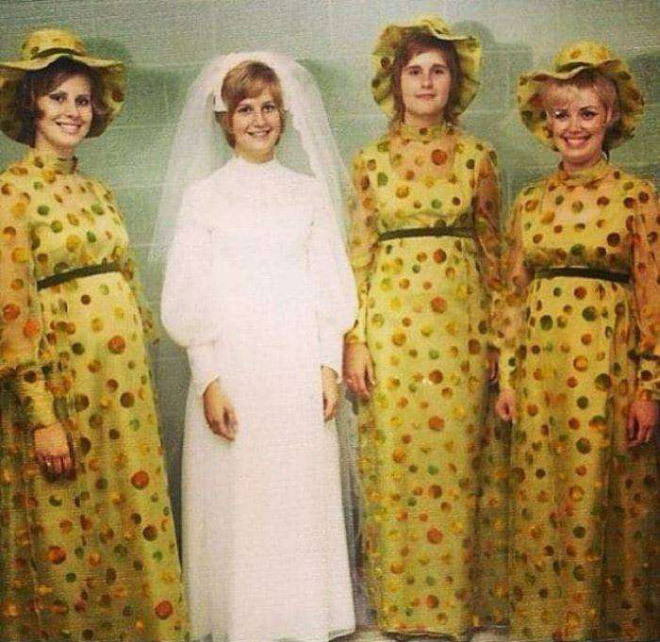 Don’t believe the blurred faced ones are brides,aids. 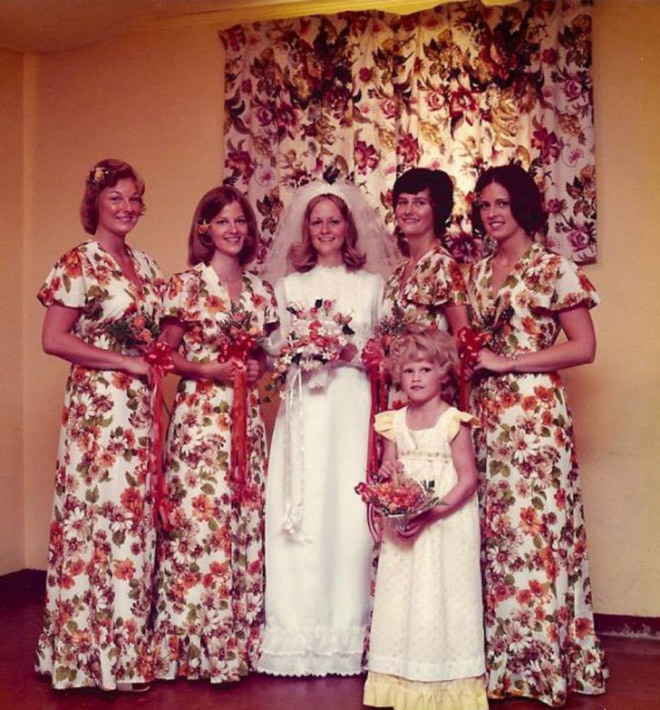 You need a bride or at least a bouquet. 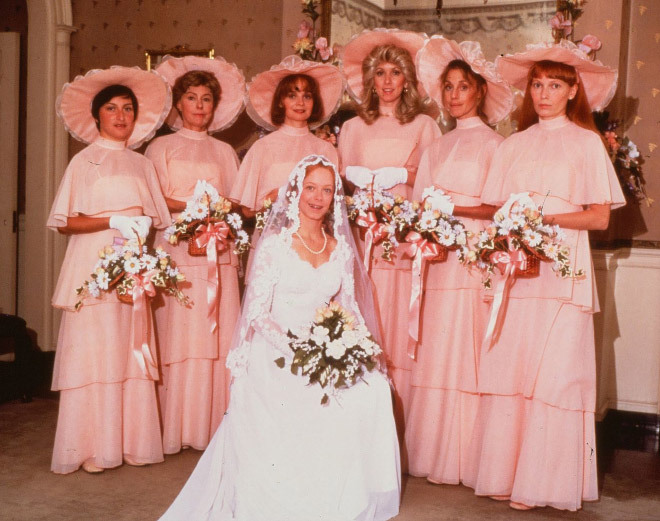 That totally looks like Mia Farrow!